There are episodes galore of fire accidents in buildings – whether it was the Uphaar Cinema fire, one of the worst fire tragedies in India’s capital, where the transformer at the parking level burst and people died after the fire broke out; or the AMRI hospital fire at Kolkata that killed almost 90 people, or the fire at Manish Market at Mumbai that destroyed almost 300 shops. The latest in the fray of these fire accidents is the Mantralaya building in Mumbai- all this points to our lack of fire preparedness! And now fire safety concern is getting people to work in the Indian scene. 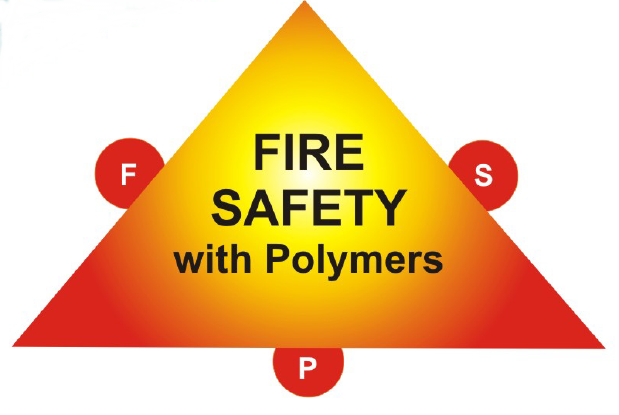 In a very recent conference titled “Fire-Safety with Polymers” brought more than 250 experts, business practitioners, and government officials, together for the very first conference of its kind on April 19, 2013 in Mumbai. The conference featured keynote speakers, concurrent sessions, and networking opportunities. Topic tracks included fire management, fire-safety, flame-retardancy in the polymer industry, with a strong focus on the Electronics & Electricals and Building & Construction segments and more. The initiative was taken by some of the key people in the industry, to name were Shakun Polymers Limited and Pinfa along with the organizer- Colour Publications. A wide crowd from around the corners of the world gathered from across different industry sector. People varying from wire and cable industry to paint industry to plastics to fire-safety security and alarms manufacturers to builders, consultants, contractors and architects graced the occasion. It is fair to conclude that the conference was a great success! So many people contributed in so many ways to turn this event into a smoothly running meeting with many very interesting presentations and a very good atmosphere for discussion and networking. To mention, certain key players present were Adeka, Clariant, Reliance, Kansai Nerolac, DSM, Excel Industries, UL, BMS and many more. In the audience were present many eminent people varying from the Airport Authority of India to leading real estate companies like Indiabulls, Oberoi Realty, Century Textiles, Kanakia Spaces, Lodha Group, Godrej Properties to name a few. Also present were renowned system integrators like SEW Engineering and not to forget MEP consultant IPS Mehtalia. FrTek was fortunate to have received such an overwhelming response to their invites and having been joined by the above said esteemed league of professionals. This was the very first attempt to bring to light the reasons behind fires along with the solutions to be taken. Fire accidents across the country have caused extensive loss of life and property. Still people are at loss of what should be done and if they know what is to be done, how and what and assurance come to role. The conference made an attempt to clear the picture, questioned a specification to be in place, go for a fire-safe world since fire-free is not possible. We may/can have fires, but solutions exist to survive them.